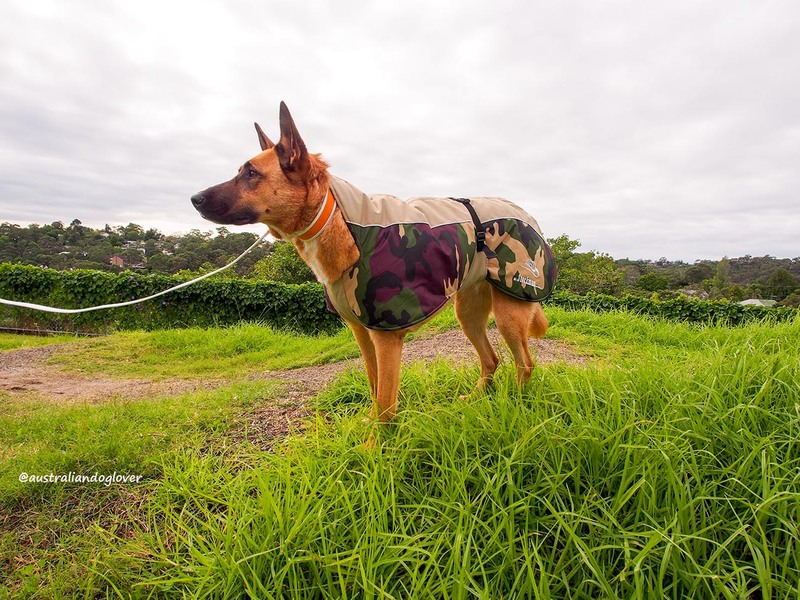 The Stockman Series™ 'Premier' Original is a waterproof dog coat designed by Australian company Pet Protector Hunter Valley. Founder Karen Stevenson was fed up with coats that would constantly slip off her active dogs so she created an entire range of dog coats that will stay on, keep your dogs warm and last from one winter season into the next. 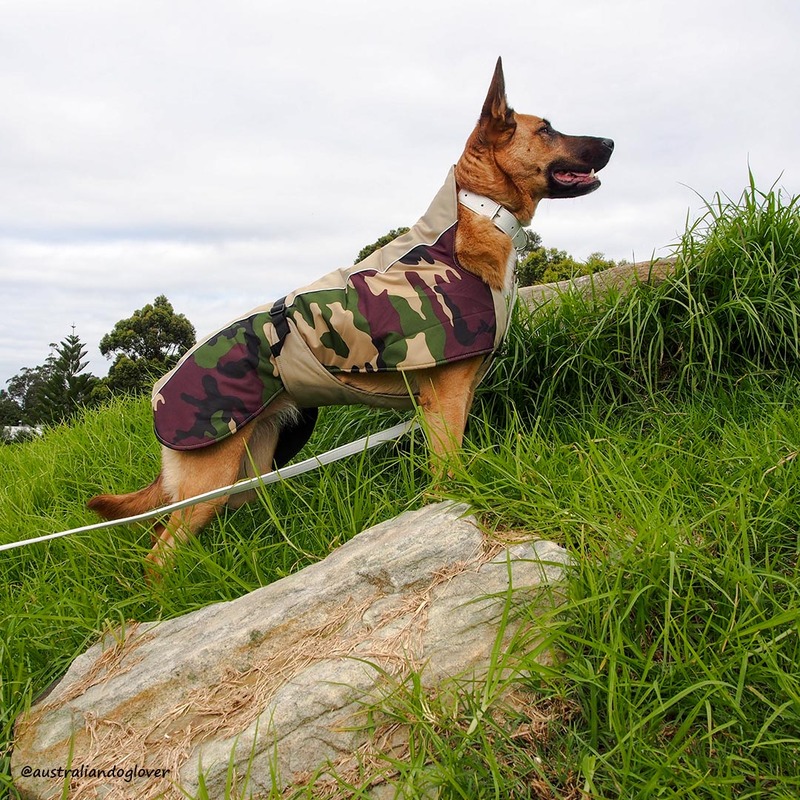 The outer shell of the Stockman Series™ 'Premier' Original dog coat is made from premium quality 600 Denier Cordura which will keep your pooch dry. The 200gsm polyester fill provides an insulating layer to keep out the cold air. A cosy soft fleecy inner lining was added to provide extra comfort. Our favourite feature (and a massive improvement on coats we trialled in the past) is the attached belly band which enabled me to secure the coat on our dog Aramis from underneath to over her back and sides. I could then adjust the nylon strips around her waist for a perfect fit. On frosty mornings, this band provides additional protection from the wind and winter chill. Our Malinois is quite a slim and fit dog however the dog coats we tried previously were hardly flattering for her figure! The right fit also means a greater ease of movement during our walks so she's now able to run around without feeling encumbered by wearing a dog coat. The heavy duty side release buckle means taking this coat on or off is fuss-free. This range is available in 6 sizes: 40cm (Pug), 45cm (Cavalier Spaniel), 53cm (Kelpie), 61cm (Boxer), 68cm (Labrador/Belgian Shepherd), 76cm (German Shepherd/Bull Mastiff) and 82cm (Great Dane). The 'Premier-X' range is best suited to the broader or stocky breeds like the Staffordshire Bull Terrier, Bull Mastiff, Rottweiler who all need the extra neck width. The 'Slimline' range is designed for small dogs e.g. Chihuahuas or Dachshunds (with sizes starting from 28cm) and working dog breeds incl. Greyhounds, Kelpies, Koolies etc. The website includes a sizing chart to ensure you order the perfect fit for your pooch.